Manali: Himachal Chief Minister Jai Ram Thakur today flagged off Winter Carnival Parade from Circuit House, Manali after performing Pooja at famous Hidimba Mata temple to inaugurate five-day long 8th National Winter Carnival-2019 at Manali in Kullu district. Winter Carnival 2019 is organised every year from 2-6 January. The Chief Minister said that a number of activities during this celebration have increased and the festival has gained popularity amongst foreign tourists as well. 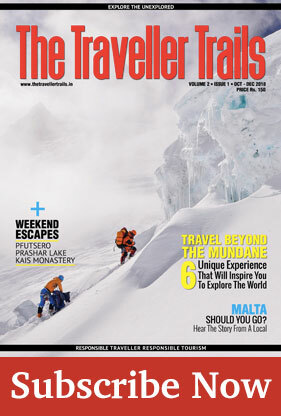 He said that Manali has been the host for the grand Himachal Winter Carnival ever since the festival was initiated. The popularity of this tourist destination and ease of accessibility is what makes Manali a perfect venue for the carnival, he added. He said that the Winter Carnival has got better with time. Initially it promoted the culture of the state by means of folk dances and music, however, with passing time many other activities have also been added to the list. Jai Ram Thakur said that it was heartening to know that over 120 Mahila Mandals of the area participated in the procession based on different themes such as cleanliness, drug abuse, Gau Sanrakshan, women empowerment, awareness regarding female foeticide and environment conservation etc. He said that these vital messages were emphatically presented by the women. 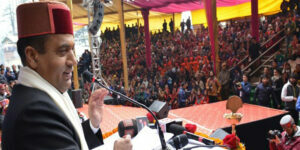 He said that Kullu district was the probably the best district of the State in preserving and conserving the rich cultural repository of the district. He said that the present State Government has completed one year in office and this one year has not only witnessed a change in whole generation, but has been a period filled with several milestones. He said that Prime Minister Narendra Modi not only participated in the oath taking ceremony of the present State Government, but also blessed the State with his presence during the one year function of the State Government held at Dharamshala.